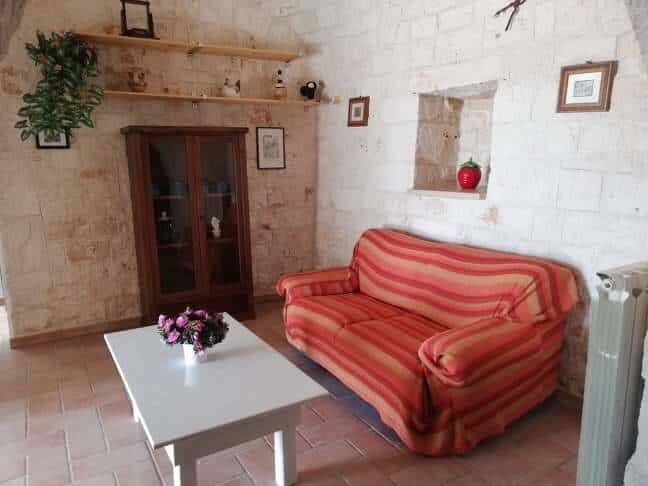 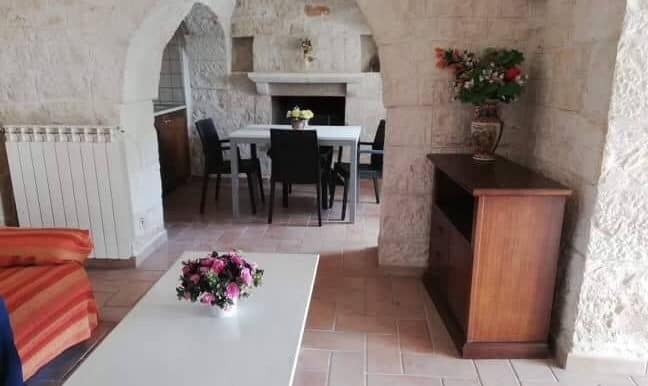 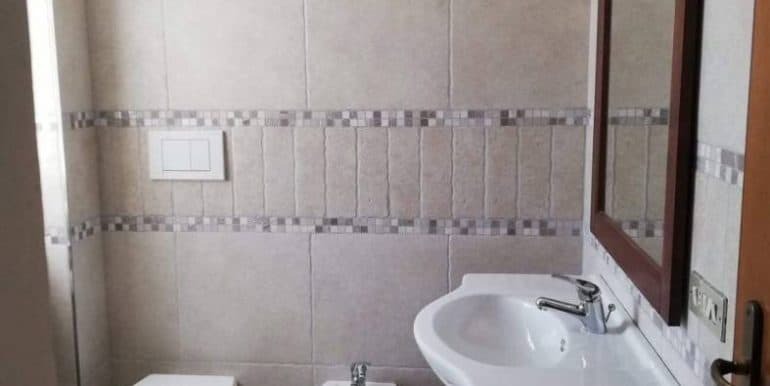 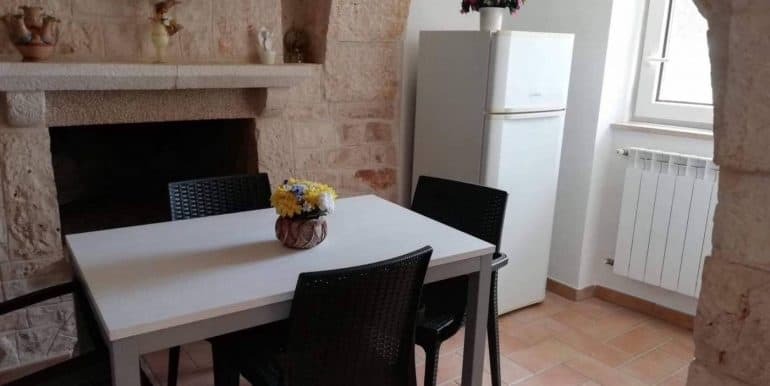 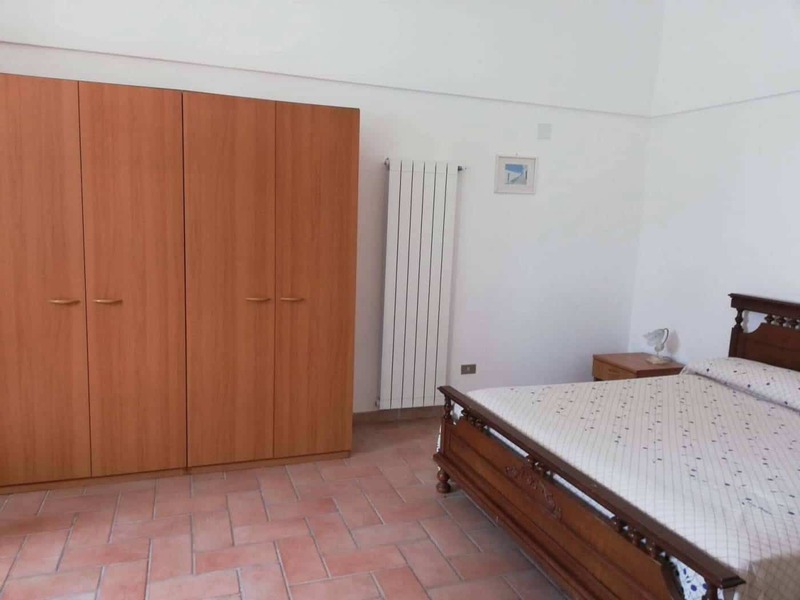 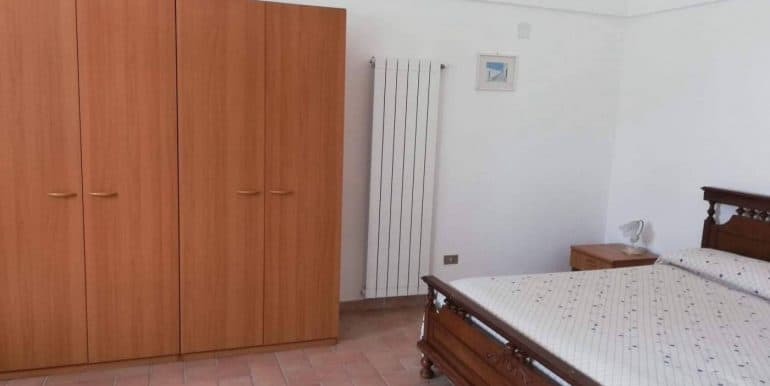 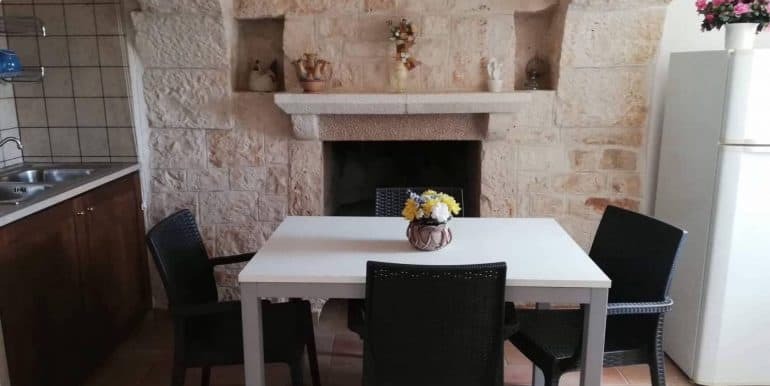 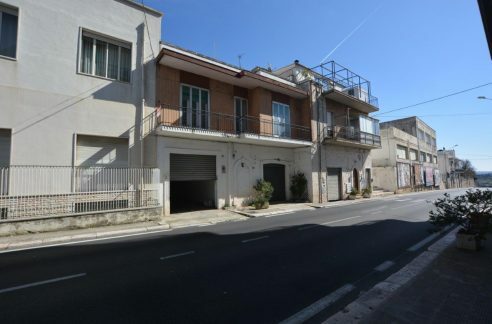 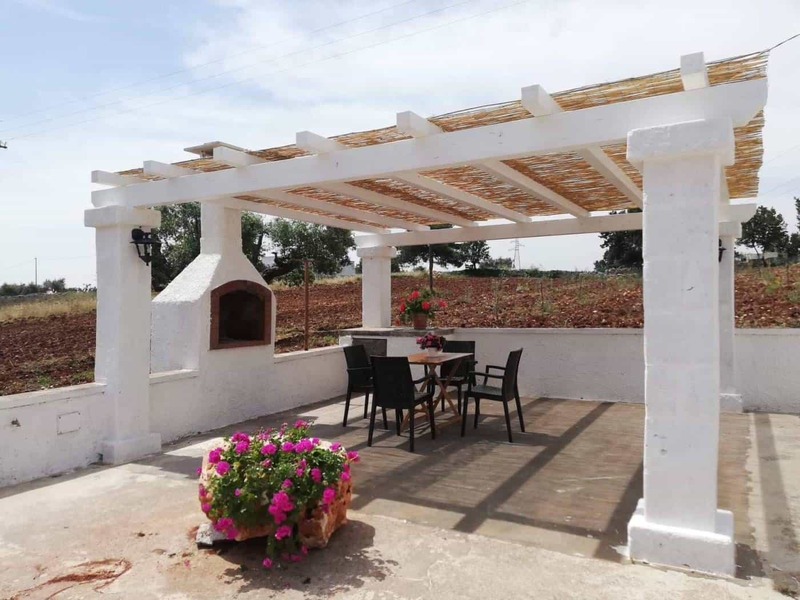 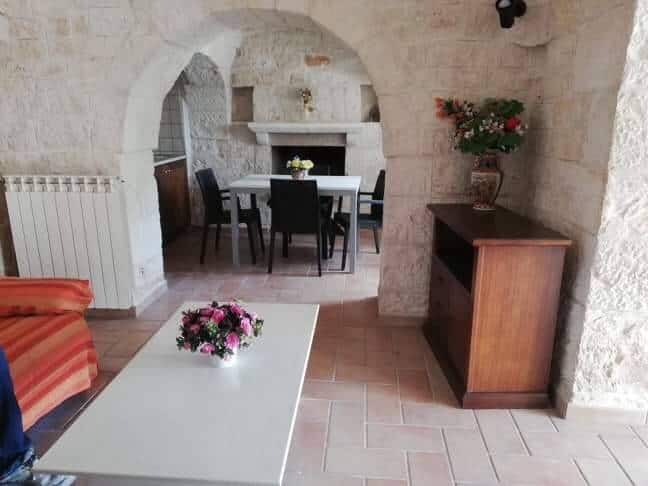 In the territory of Cisternino, more precisely near the Contrada Sisto, the real estate agency Real Estate Cisternino, offers for sale a magnificent housing complex completely renovated. 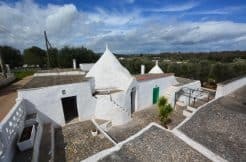 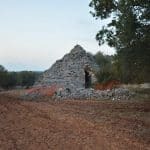 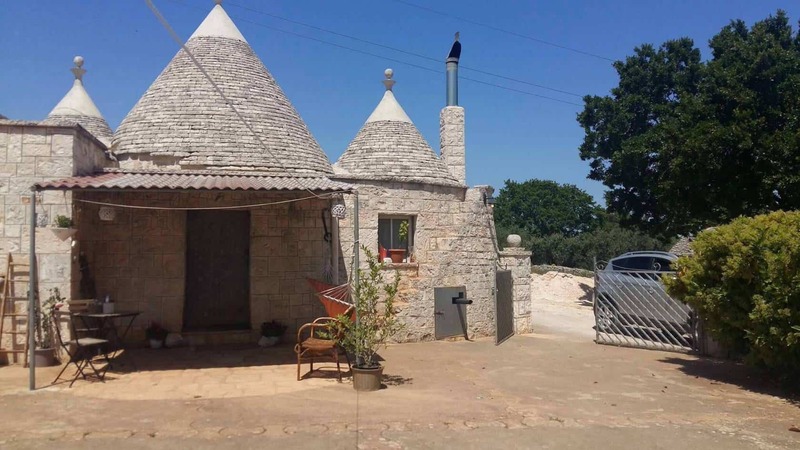 The structure is composed of trulli building plus extension, to be exact we find three cones completely restored, plus a part of new construction. 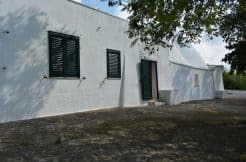 The part of new construction was built while maintaining the old local techniques, with ceiling sky carriage. 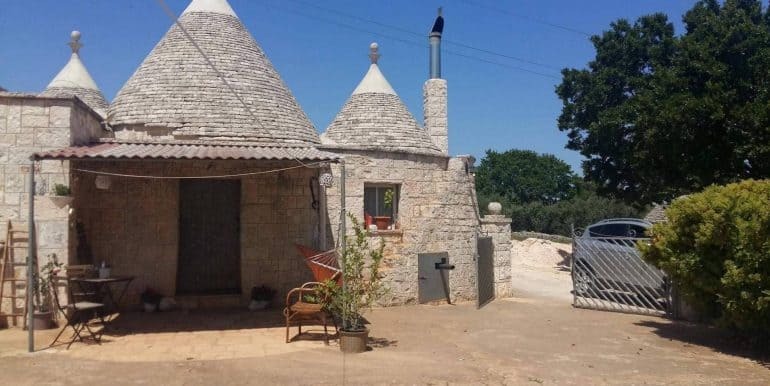 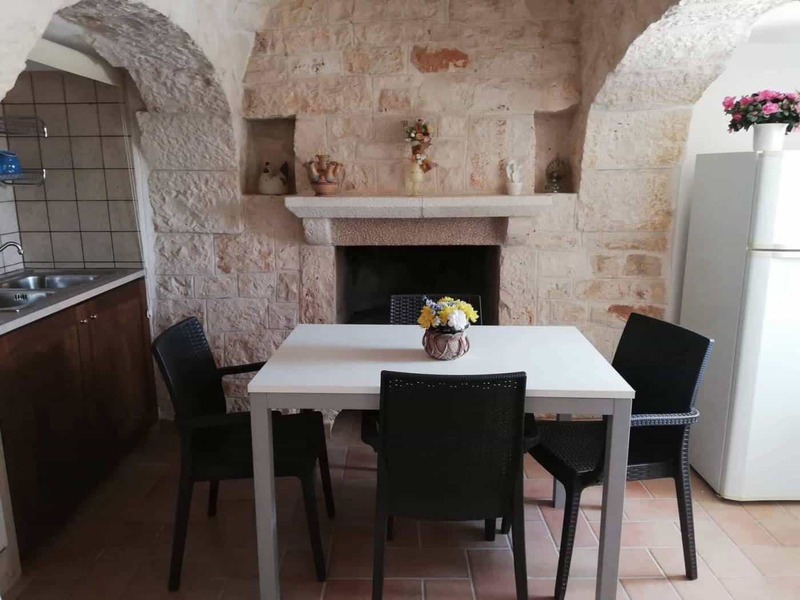 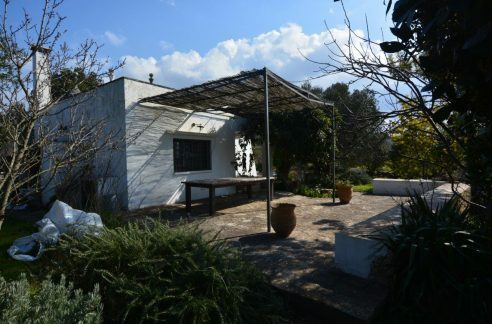 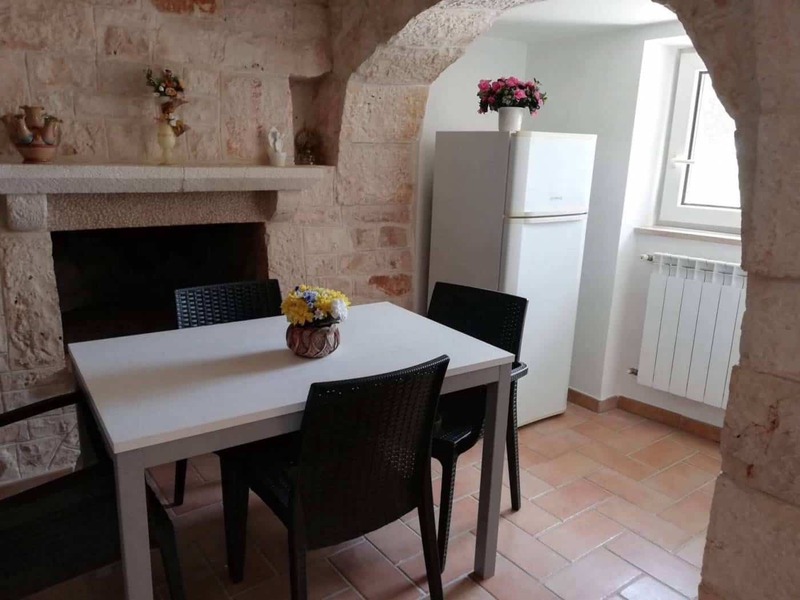 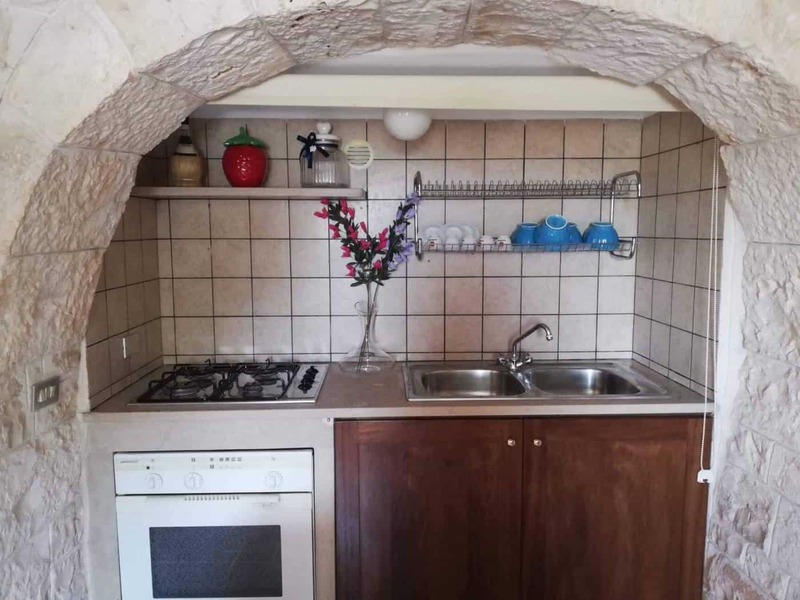 Internally the house is divided into living area within the trulli, with kitchenette and living room, and sleeping area with bathroom in the newly built part. 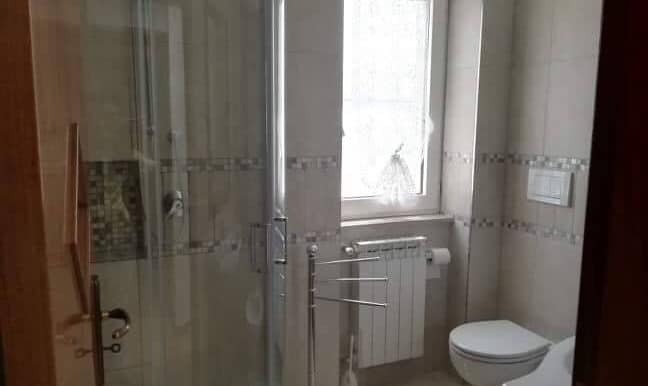 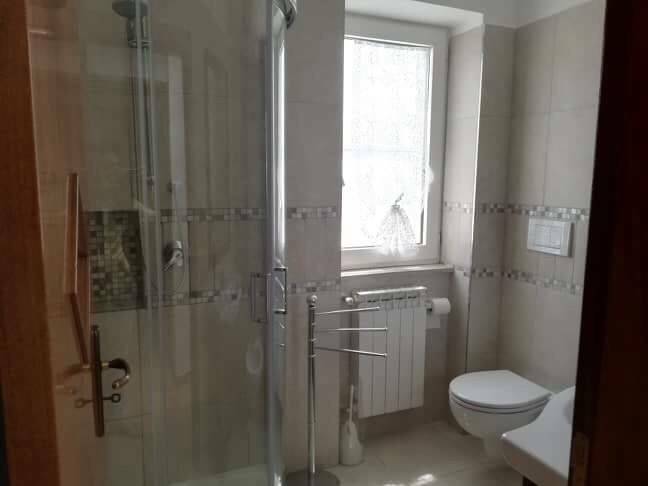 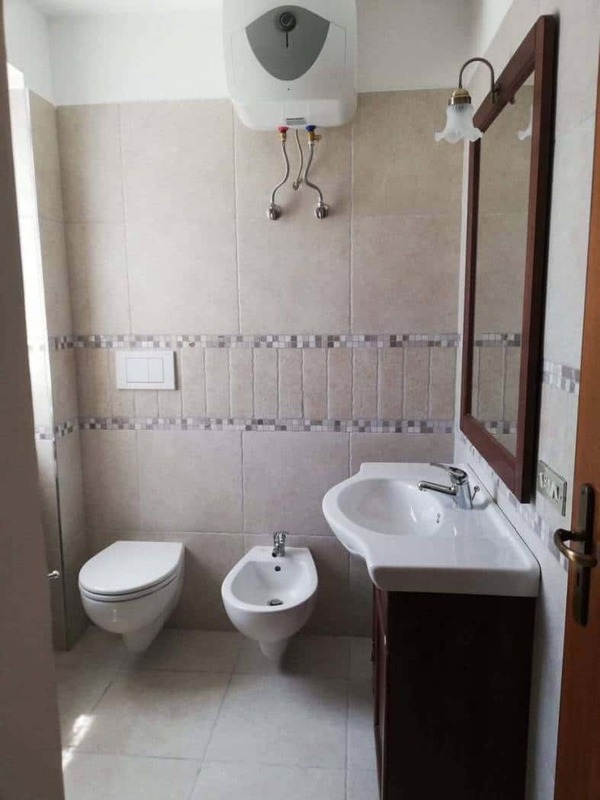 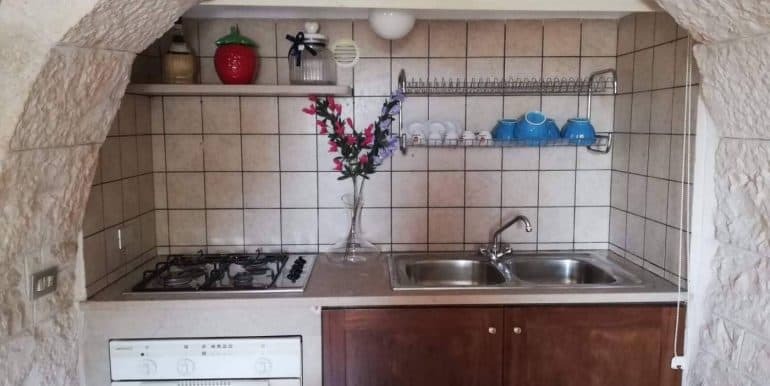 Overall the house has two bedrooms, kitchen plus living room and a bathroom, all served by heating with radiators or with the possibility of installing a pellet stove, since it is already present the predisposition for connection. 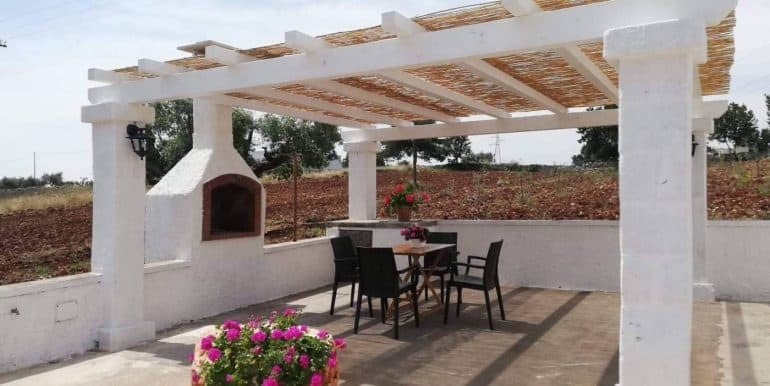 Outside there is a paved square with wooden gazebo and barbecue area. 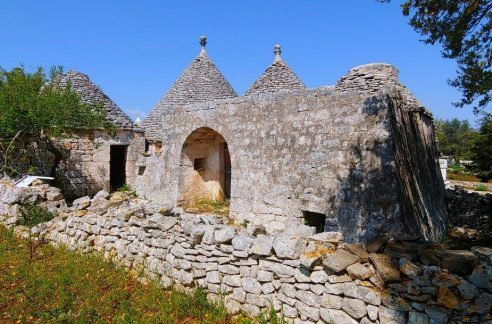 There are about 3,000 meters of land. 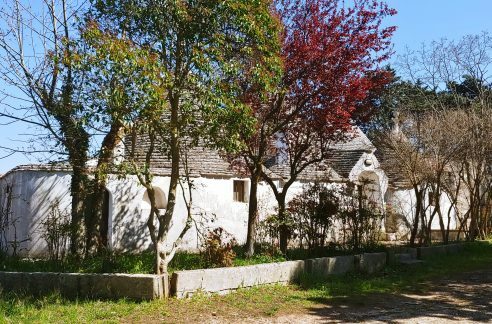 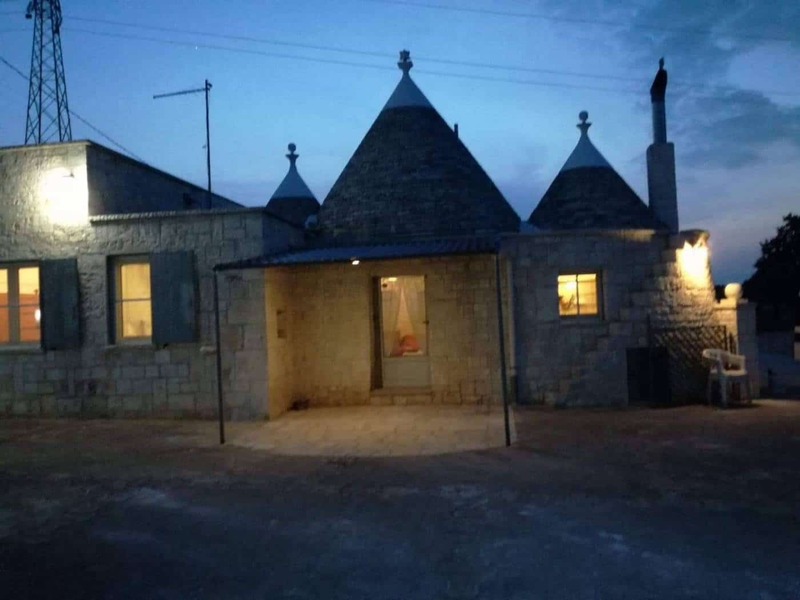 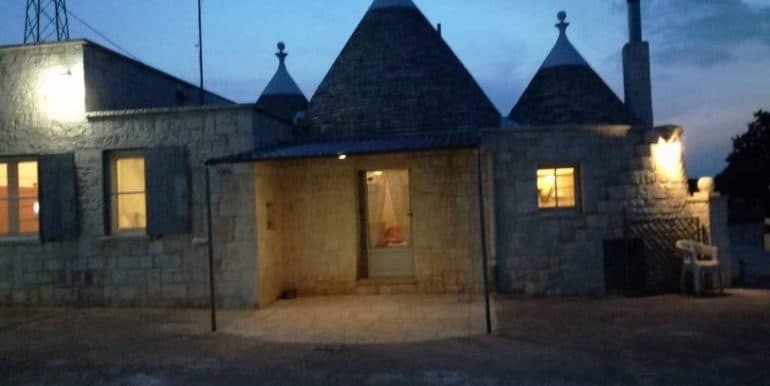 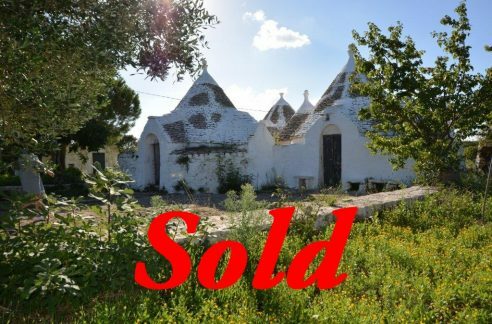 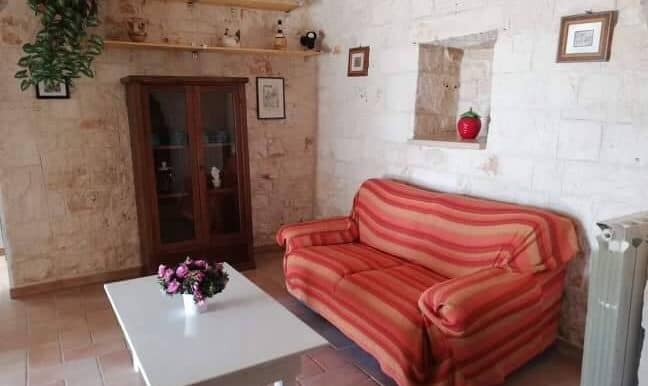 Finally, keep in mind its location, less than a km from the town of Contrada Sisto, where you can find all the useful services such as mini-market, butchers, tobacconists, etc..
Abitazione a Trulli 4 vani + acc.